As many as 215,000 lakes that traditionally freeze every winter will stop doing so in the next 60 years unless humans take action to mitigate climate change, a new study published in the journal Nature finds. Nearly 15,000 Northern Hemisphere lakes already have only intermittent winter ice cover, the study notes, and further loss of ice threatens freshwater availability, economies and culture in the world's north — including Minnesota and Wisconsin. An international team of researchers analyzed 513 lakes in the Northern Hemisphere and predicted how many would lose annual ice cover under a variety of warming scenarios. Even if the average global temperature increase is held to 2 degrees Celsius, a Paris climate accord goal, the study says 35,300 northern lakes could still lose annual winter ice cover. And as annual winter ice cover goes, so do many other things residents may take for granted. John Magnuson, a University of Wisconsin-Madison aquatic ecologist and limnologist, said warming temperatures take away an important piece of culture for people in the north. 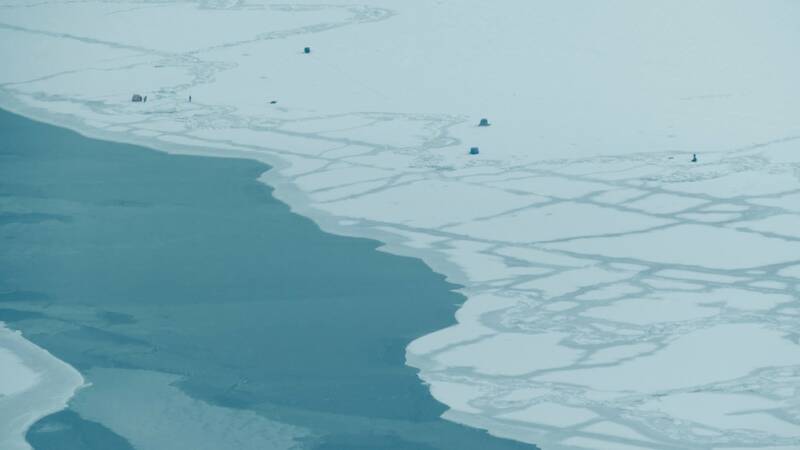 "The ice is important and it's part of their sense of place," he said. "Already that's been reduced." The study notes how popular ice fishing is across northern countries. In addition to its cultural impact, ice fishing equipment was a $178 million industry in 2011 in the U.S. alone, the study says. Less ice in the winter also decreases the freshwater supply, as it makes for greater evaporation rates. Shorter winters and less ice can impact lakes' ecology, too. Less ice makes for more toxic algae blooms in the warmer months. It can also affect the lake's biological makeup, impacting fish. "Shorter, warmer winters are also likely to negatively affect some fish populations through declines in reproductive success," the study says. What makes a lake more susceptible to losing ice? Some lakes have a greater risk of losing annual winter ice cover than others as the climate warms. Of course, average temperatures for where the lake sits are a big factor. So is the lake's depth. The deeper the lake, the more it stores heat, Magnuson said, which is why shallow ponds freeze up so early in the season. Elevation and the shape of a lake's shoreline also influenced winter ice cover scenarios, but they were less impactful than depth and temperature. Hear an interview with Magnuson on the audio player above.